YAUPON. GENTLER AND SMARTER ENERGY. Why do we love this plant? Because it's an amazing ally to human health and wellness. Yaupon is full of valuable phytochemicals including caffeine (only about 1%), theobromine (an uplifting gentle stimulant, the happiness "drug" in chocolate), quercetin (anti-inflammatory), and other antioxidants. It's delicious and wild and makes a tasty, energizing brew. The northern cousin of yerba maté, yaupon is the only native North American plant to contain caffeine and theobromine – and it only grows in Texas and a handful of southern states. Sweet, and earthy with similarities in flavor to both yerba maté and traditional black tea, yaupon’s profile is rich and mysterious – just like nature. Offering a sustainable uplifting boost of energy with no crash, yaupon tea is an enjoyable, buzz-free brew. The caffeine in yaupon is only about 1%. 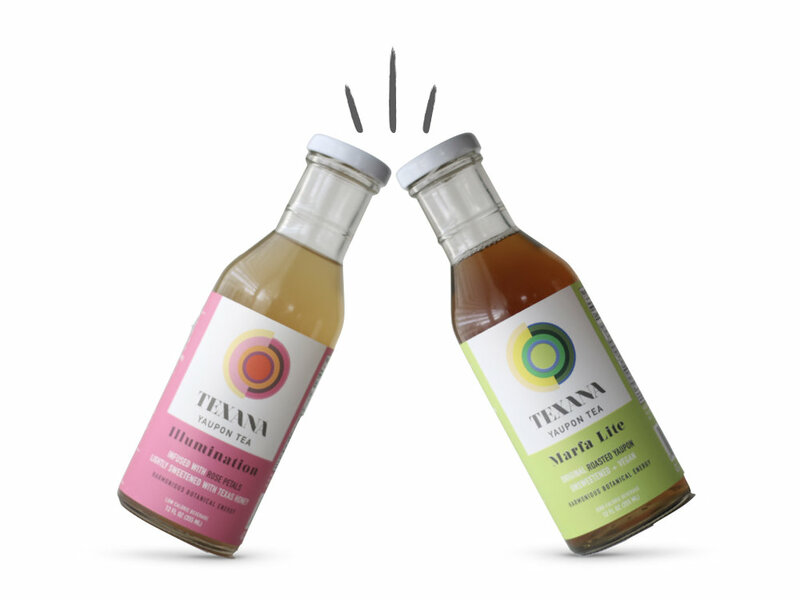 In our experience, people who have sensitivities to caffeine have been able to enjoy our teas because they're more uplifting than stimulating. And for folks that are used to caffeine, yaupon is a new perky feeling. 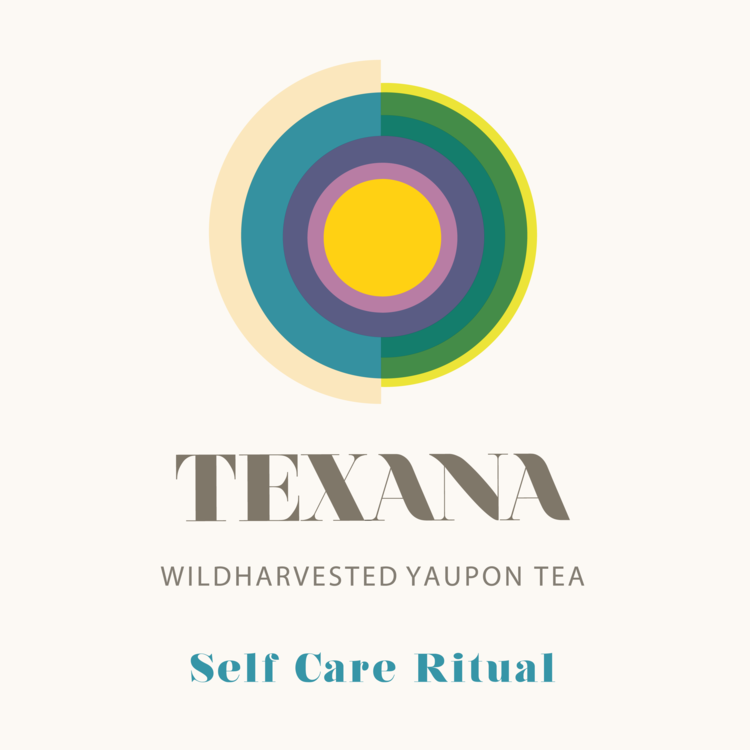 Texana Tea is a functional beverage line that through the base of yaupon tea delivers a valuable phytochemical experience. It is low on the glycemic index and free of cane and other processed sugars. We use only the highest quality certified organic herbs for our infusions and the best local Texas honey. From the the harvest to the roasting and steeping of the leaves, each step involves deep gratitude for the plant, the land, and all who drink our brew. Regular enjoyment of our tea may cause attitude improvement, greater feelings of overall wellness, and a more lighthearted experience of the world. Roasted yaupon infused with mint, nettles, oatstraw, and hawthorn berries. Lightly sweetened with Texas honey. Gently energizing, nourishing, and supportive. Minty. Roasted yaupon infused with certified organic Bulgarian rose buds, and lightly sweetened with Texas honey. Gently energizing, cooling, and only slightly floral.